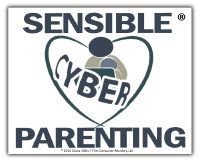 When it comes to parental controls, I generally recommend that parents take advantage of the parental control features that come with a device and then add additional controls as needed (as long as the two together are not in conflict with each other). Manufacturers of mobile devices have continued to improve the features and options that can help you protect and manage the access your kids have to content and purchases. In addition to the restrictions settings that come with iOS devices, Family Sharing might be a feature you want to employ. The main advantage of Family Sharing is being able to share purchased content like music and apps among family members rather than wasting money on duplicate purchases. It also gives you the ability to share photos and location information. Additionally, there is a parental control feature called Ask to Buy where your kids can ask for purchase approval of apps, music or other content without you having to do it the through their device restrictions settings, a much more cumbersome process. Use the Apple Support links below for more information and setup instructions.